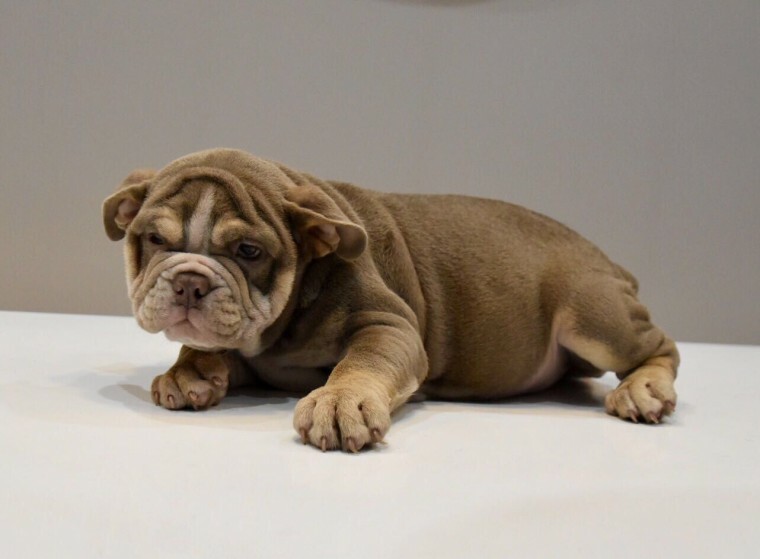 Lilac tri female kc English Bulldog pup available . Home ( front room) reared pup, who is use to everyday life with a family. She is child associated and regularly handled and played with . Sire to these pup is the very well known Kartel?? Game who is from Epic Bullys lines. He is a purple lilac tri and is an amazing boy. Mum to pup is from show winning lines and has famous dogs like Merriveen Make myDay in her pedigree. She is absolutely stunning and will come with all the usual vet checks and age appropriate injections. Miss Orchid is available and ready to leave now.